There must be few feelings that compare to becoming a world champion so Germany’s Mesut Özil must have been living a dream last night. As well as beating Argentina, the Arsenal midfielder celebrated with his model girlfriend afterwards, and pop star Rihanna, but not before being asked for his shirt by legendary footballer Michel Platini. The former France playmaker, and current President of UEFA, asked his fellow number 10 for the shirt after Germany’s players had been presented with their medals and the cup itself. Quite a compliment given how many talented players shared the pitch with Özil for the World Cup final. Inspiring stuff. 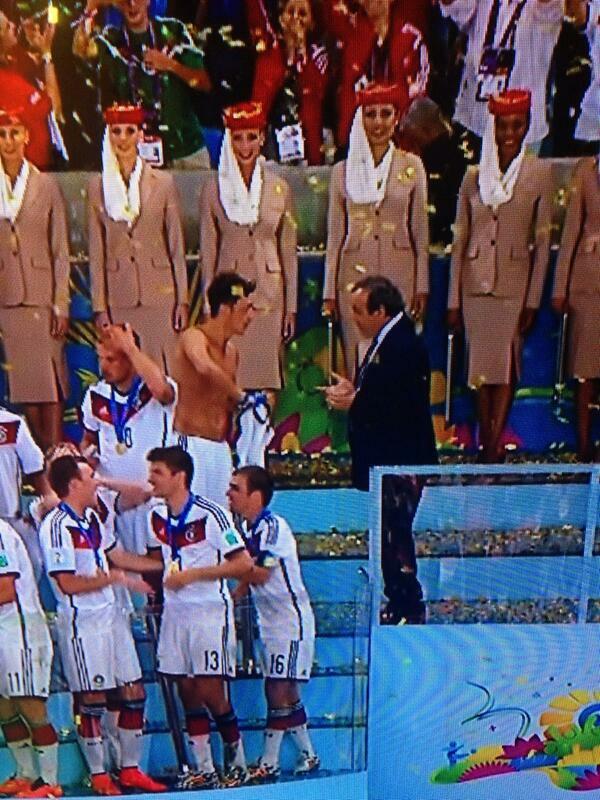 Check out his tweet and the tweet capturing the moment his shirt was handed over to Platini below.